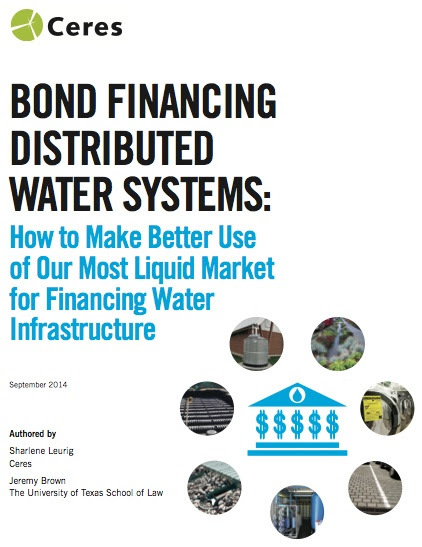 Bond Financing Distributed Water Systems: How to Make Better Use of our Most Liquid Market for Financing Water Infrastructure asks the question, can we learn from cities like Seattle, Las Vegas and New York City how to make better use of the bond market to finance this new type of infrastructure? Leading businesses are creating and valuing entirely new forms of positive environmental AND social impact as well as quantifying previously ignored costs and risks. This 3-day Sustainable Brands event in collaboration with MIT Sloan School of Management showcases new approaches to valuing risk and impact, explores new frontiers in setting company goals and shares new solutions in ICT and data management. Ceres is excited to have been selected by SXSW Eco as an Official Supporter of this year’s event. This international conference celebrates all aspects of sustainability, from clean energy to food systems to land and water. Brooke Barton of Ceres’ Water Team joins the high-level group of issue experts as a presenter. Please click here for more details and to register! COP20 in Lima is the foremost, principal opportunity for global nations to negotiate and shape the contribution they will give to vastly reduce their carbon emissions, before a definitive commitment in Paris. Held in conjunction with COP 20, the Sustainable Innovation Forum 2014 (SIF14) in partnership with UNEP is the essential platform to showcase your undertaking to mobilize the green economy, and enable low carbon development. Ceres began working with leading institutional investors to challenge the companies they invest in to address the risks and seize the vast opportunities presented by climate change, only a handful of shareholder resolutions were being filed on sustainability issues. But this past proxy season, nearly 150 climate-related resolutions were filed by institutional investors. In response to these resolutions, 20 major international corporations have committed to set goals to reduce greenhouse gas (GHG) emissions or sustainably source palm oil -a leading driver of global deforestation. An additional 45 corporate commitments were secured related to sustainability reporting, energy efficiency and carbon asset risk. “Companies are on the hot seat to reduce their carbon pollution if they want consumer and investor support,” stated Leslie Samuelrich, President of Green Century Capital Management, which secured the first deforestation-free commitment from Kellogg’s, and co-filed the shareholder proposals at ConAgra & Smuckers. “We expect more companies to follow suit and build sustainable supply chains and protect the environment upon which their businesses and all of us depend,” stated Samuelrich. As local communities contend with more floods, worsening droughts and aging infrastructure, finding ways to pay for critical water infrastructure upgrades is an enormous challenge, one that cannot be solved solely by building new reservoirs, pipelines and treatment plants. Two new reports from Ceres explore the innovative financial solutions that can update our local water systems, improve conservation efforts and ensure adequate water supplies now and well into the future. 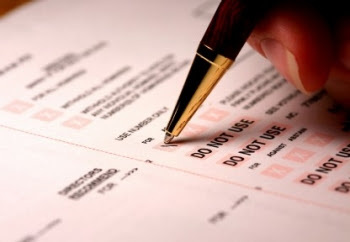 Measuring and Mitigating Water Revenue Variability: Understanding How Pricing Can Advance Conservation Without Undermining Utilities’ Revenue Goals examines real financial and water use data from three North American water utilities to demonstrate how rate structures can mitigate or intensify revenue variability. Allstate’s 2013 Corporate Responsibility report highlights the company’s performance on key sustainability goals across Allstate’s business and operations. Goals include progress towards a 2020 goal to reduce energy use by 20% from a 2007 baseline, as well as the company’s efforts to mentor diverse suppliers through the Allstate Mentoring Program. In the opening letter to JLL’s 2013 Sustainability Report, CEO Colin Dyer outlines the importance of reducing GHG emissions from commercial buildings- which are responsible for almost 40% of GHG emissions in the developed world. As part of JLL’s efforts to mitigate the impact of commercial real estate the report highlights the growth in JLL’s LEED and sustainability accredited professionals to nearly 1,500 globally, and the expansion of the company’s Energy and Sustainability Services. General Mills has joined the BICEP coalition to advocate for innovative climate and clean energy policies. General Mills, with worldwide sales of $17.9 billion, produces and markets foods for more than 100 consumer brands, including Cheerios, Green Giant, Nature Valley, Old El Paso and Pillsbury. The 148-year-old company’s sustainability platform includes goals for sustainably sourcing its top key ingredients by 2020 and for reducing its energy use and greenhouse gas emissions (GHG). We are pleased to announce two new members of INCR, EKO Asset Management Partners and Marshall Street Management. Marshall Street Management supports the Fink family in pursuing their personal and financial goals. Marshall Street Management serves as a catalyst with the family to build sustainable, resilient, and adaptive communities. This family office has already been very involved in INCR, and assisted in the development of the Navigating Climate Risk: Ceres’ Primer for Family Offices. EKO Asset Management is an investment management and advisory firm that develops and implements innovative approaches to financing conservation and environmental sustainability. EKO structures investment vehicles and advises on transactions related to carbon, fisheries, green infrastructure and water. Ceres is an advocate for sustainability leadership that mobilizes a powerful network of investors, companies and public interest groups to build a sustainable global economy. Ceres is a non-profit organization. All gifts are tax deductible. Ceres has received high ratings from charity watchdog groups, a reflection of our effectiveness, integrity and impact.